Morning came and the sound of the AC woke me up. It was 7 am. Perfect. I surprised myself by getting out of bed without regret and hesitation. I felt new. I was ready for another round of randomness, spontaneity and coincidence. The events of last night somehow encouraged me to set out for another walk after work even though my feet hurt like hell. I couldn’t resist because it was you, for crying out loud ! And I am crazy and stupid (no camera !) and stubborn enough to succumb to my conventional unconventionalism. My plan was quite simple: I wanted to learn as much as I possibly can by simply focusing on three activities. 1. Getting invited to one of Mr. Heynes‘ famous dinners. The fact that they take place on Sundays somehow slipped my mind. Silly me. 2. Finding the hotel where my family and I once stayed when we visited you. The biggest difference is that I was a kid when I met you and I don’t remember much of our first meeting, only fractions: Me eating my first baguette (it was delicious even for someone like me who doesn’t care much about food!). Us visiting the Eiffel Tower (very windy!). My sister and I jumping like crazy on the bed ( it was fun!) of that Vietnamese-run hotel somewhere in one of your Chinese neighborhoods. We spent almost two weeks there before heading off to Germany to start a new life. The strange thing about this is that everything seems to happen too fast and I somehow feel like it was only, well, not yesterday, but a few years ago. A few years became 18 years. 18 years became a new life. They are long enough to make it impossible for me to find the hotel. As I walked around the 13th arrondissement, admiring the convergence of modernity and tradition of the area, I couldn’t help but think about Manhattan’s Chinatown. I checked out every building, searching for familiarity among strangeness, hoping for a sudden clue but none of them appeared right in my eyes. I knew it was there but I couldn’t quite put a finger on it. My search ended when the sun disappeared from the horizon. I left the neighborhood with a lingering feeling. 3. Visiting the graves of Édith Piaf, Gertrude Stein, Molière and Oscar Wilde (don’t worry, I won’t kiss his tomb) at your famed Père Lachaise Cemetery. The path to your largest cemetery was a quiet and relaxing one in contrast to the busy roads of the 13th arrondissement. As I walked your cobblestone streets and stood in front of the entrance I finally realized that luck was definitely not on my side this time. Oh forgetfulness, how you ruined me. It was a comical moment to stand there realizing I had no one to blame but myself for not looking up the opening hours. Even the dead need a break. Randomness showed its ugly side. I took the train home, disappointment and sullenness following me. Bravado left me all of a sudden. But as with many things in life, you can’t always have a happy ending. The next morning came to soon. As I took the train from Champs-Élysées to Charles de Gaulle airport you decided to show me another side of yours. It was a short tour but I saw the contrasts nonetheless. As I sat by the window, I noticed the colorless housing blocks standing next to each other. Only five stops (ca. 20 minutes) away from all the luxury and wealth, from the majestic buildings that have made you you. A scene I used to know from Berlin’s districts Marzahn and Hohenschönhausen. As the plane took me away from your very heart, I felt closer to you. My friends would ask what I have seen and laugh at me for ignoring all the landmarks but I don’t mind because I saw the wonderful complexity that is you. I will be missing you until then. Ps. Tell Celine I almost missed that plane! This is a true story. This is the story of how I got to know you. Frankly, I came to see you with no expectation. Like many other times before, I let randomness take over me. You are no exception to me and I was neither enthusiastic nor exited when I first saw you covered by sober darkness. Your streets: small, interwoven and curvy. Your buildings: majestic, grand and exquisite. Your people: friendly, eager, sneaking around street corners with fast speed. All of it with the sort of ease and elegance that there was no vocabulary for. We fancy Ernest Hemingway and the rest of the Lost Generation. We like walking in the rain and preferably at night. We have messy hair and walk around with our heads in the clouds. I’m not Gil. I don’t need a car to see an older version of you. I walked. At 5 pm when I was done with work I made my way into the unknown. 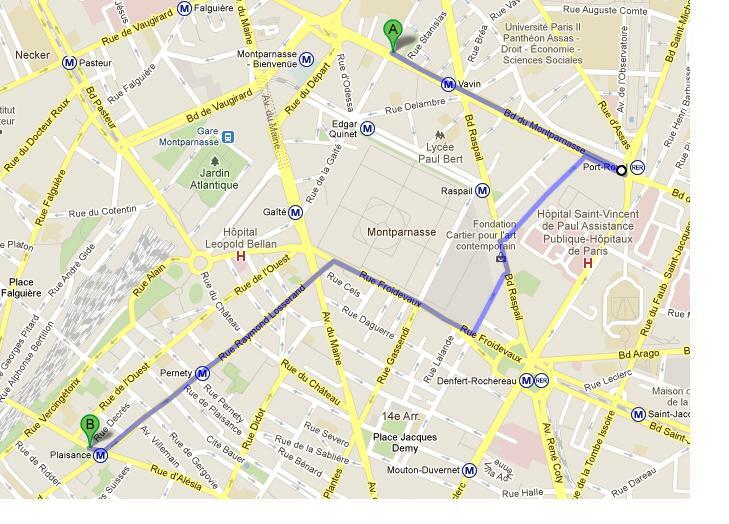 My first starting point for this short tour was Place de Saint-Augustin. From there on I strolled along Boulevard Malesherbes, passing countless trendy bars, shops and restaurants to meet La Madeleine at the end of the street. Tall, imposing and much more of a Roman/Greek temple than a church. There was only one thing on my mind. Choosing has never been that easy. All I had to do was to choose left or right and whatever I took would turn out to be the right road and the right decision. I opted for right. Ahead of me was Rue Royale boasting with the egalitarian flair similar to what people might find on Avenue des Champs-Élysées, Fifth Avenue or Ginza. All the glory and exclusiveness of a modern metropolis. The end of the street, however, took me to your past. Place de la Concorde was the place where the execution of King Louis XVI and his wife took place. As a high-school student, I was fascinated by the French Revolution and anything involving Marie Antoinette. I spent hours in local libraries; Stefan Zweig’s Marie Antoinette: The Portrait of an Average Woman became one of my favorite books at that time. Place de la Concorde was smaller than I had imagined: simple, sparely decorated and designed with geometric precision. It made a tranquil and peaceful impression and there weren’t as many tourists as expected. A woman observing birds. A group of Asian visitors posing for a photo. On the right side across the river stood Eiffel Tower, tall, concrete and resolute. Time to cross the bridge and turn left. 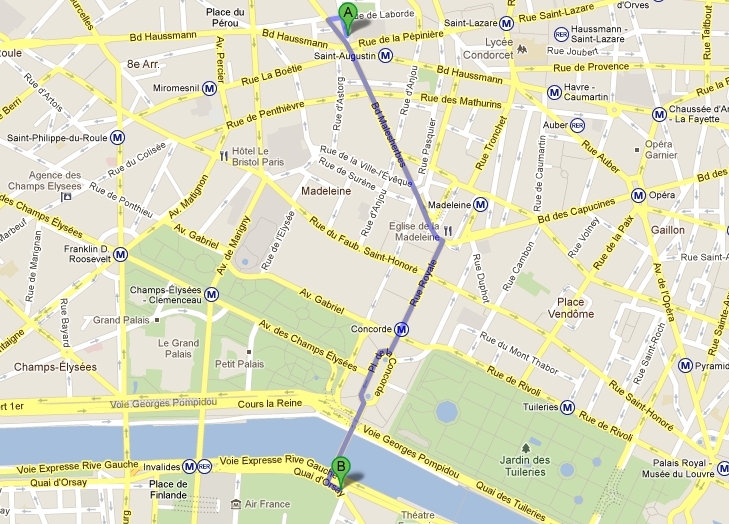 I followed the Seine, walking along Quai Anatole-France. Your constellation of buildings and river reminded me of the way how Berlin’s landmarks are positioned along its river Spree. People can get a similar view of Berlin when they choose Jannowitzbrücke as the starting point to follow the Spree. 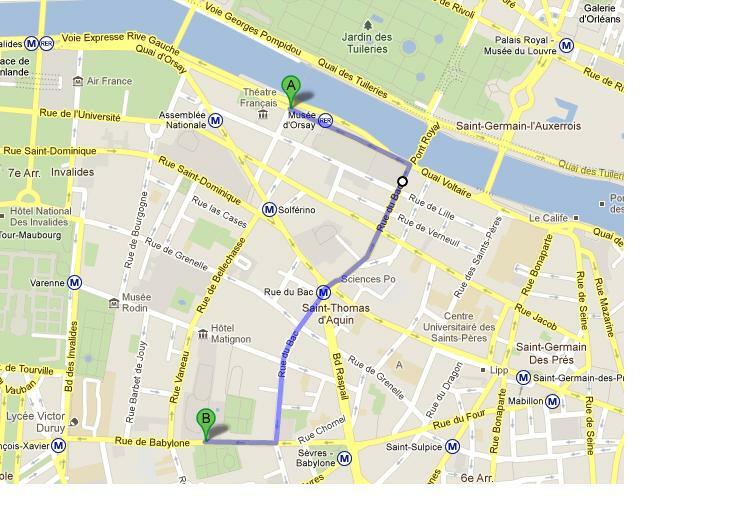 Back to you, I ignored the urge to visit Musée d’Orsay and turned right for the second time to Rue du Bac. A remarkably beautiful street: long, narrow and fully packed with charming shops, restaurants and bakeries. I killed my time, browsing through them with the idleness of someone free from schedules and time constraints. I passed many other streets and continued my tour through a number of Japanese restaurants in the Montparnasse neighborhood. They were definitely more authentic and charming than the Vietnamese-run venues that I used to know from Berlin. I stopped for dinner in one of them, watching the cook prepare my food with care and accuracy. Something that I’ve learned to appreciate about Japanese cuisine when I lived in Tokyo. By the time I reached Boulevard du Montparnasse the streets became more crowded. Wind around me. I kept on walking. It was a clear but icy Tuesday evening, full moon shone through. Ahead of me was a group of Americans asking for direction. It turned out that they were students of architecture, looking for a gallery somewhere in the 14th arrondissement. Curiosity got the better of me and I decided to join them. We strolled with ease, chatting, oohing, ahhhing and pointing at things like kids on their first trip. They reminded me of that time when my friends and I went out for some drinks at a karaoke bar called Hafenbar in Berlin. The music was good that night; people around us singing old German songs. We did our best to enjoy our time together. There was, of course, no dancing at the gallery. The crowd scared me. There was too much talking but none of the talks was substantial and interesting enough to make me stay. 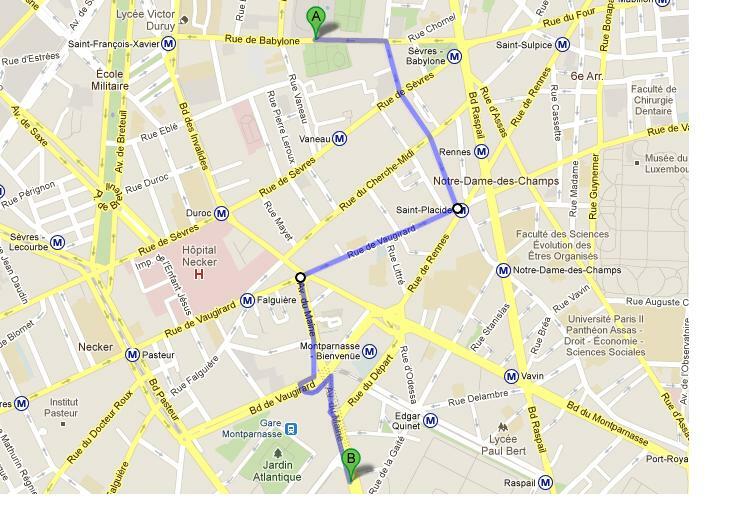 I said goodbye to my newfound friends and walked back to my hotel, which was located near Champs-Élysées. I had no idea how to get back but you were with me. Your lights: my eyes. Your buildings: my compass. By the time I reached my hotel my feet were numb. I slept like a baby. * I was the worst. If I remember correctly, one of the bunnies even referred to me as “bốc” that night.